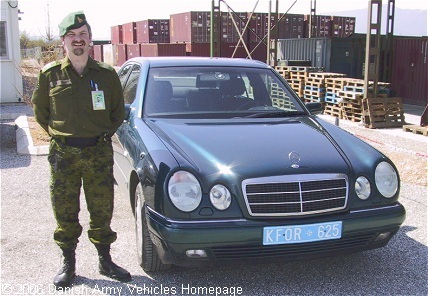 Danish Army Specific: Despite the KFOR licence-plate the shown vehicle was owned and operated by the Danish Army. Weight: 3.500 kg (7.700 lb). Engine: Own 6-cylinder, 3.199 cm3 (195 cubic inches), liquid cooled.